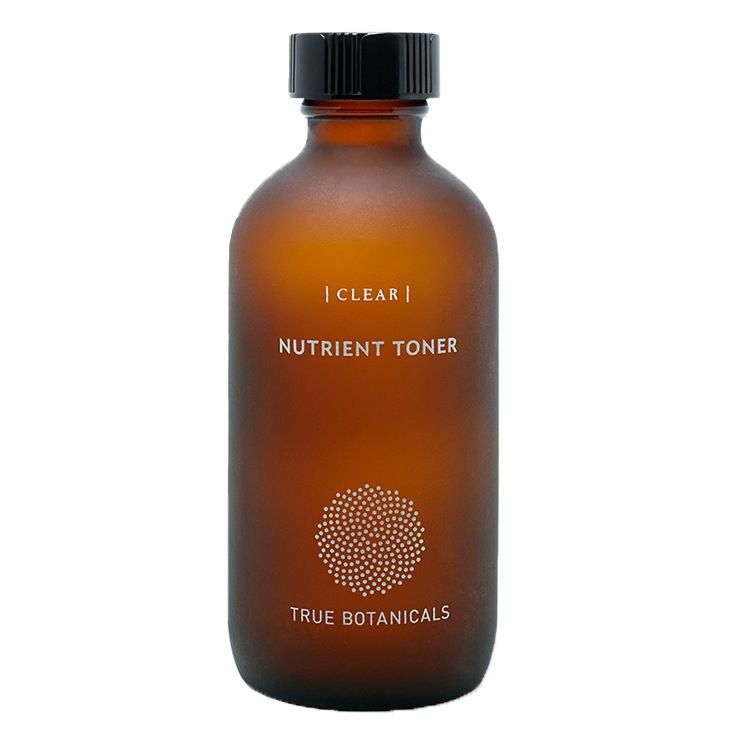 True Botanicals Clear Nutrient Toner is designed especially for those with congested and acne prone skin. Black willow bark works much like salicylic acid, making the skin feel smooth with a clear appearance. Olive leaf extract calms the look of inflammation and congestion, and contains antioxidants for a feel of long lasting protection. Sandalwood hydrosol is added for its astringent-like properties, providing a blemish-free and glowing appearance. Using a cotton pad, apply toner to clean skin. Follow with lightweight moisturizer. May be used in between cleansing for a feeling of soothing comfort. Camellia Sinensis (Green And White Tea) Leaf Extract*, Santalum Album (Sandalwood) Water*, Saccharomyces/Xylinum/Black Tea Ferment (Kombucha)*, Salix Nigra (Black Willow) Bark Extract, Helichrysum Italica (Helichrysum) Extract, Olea Europaea (Olive) Leaf Extract, (Apple Cider) Vinegar*, Caprylyl/Capryl Glucoside (Plant Based Emulsifier), Silybum Marianum (Milk Thistle) Seed Oil, Algae Extract, Phenethyl Alcohol**, Ethylhexylglycerin**, Santalum Album (Sandalwood) Oil*, Lavandula Hybrida (Lavender) Oil*.